Tallahassee Elks Lodge #937 hosted the North regional Hoop Shoot Jan. 19 with nearly 30 youngsters competing. It took 20 volunteers to staff the courts and registration tables, to process the results and to give awards. Winners in each age category moved on to the state finals. In February, Tallahassee Lodge made an in-kind donation of its kitchen and dining room to the Leon-Wakulla Retired Teachers Association to allow them to host a fundraising spaghetti dinner and silent auction. The LWRTA conducts several dinners a year to raise money for scholarships to award to local students studying to be teachers. Several thousand dollars were raised. In March, Tallahassee Lodge was the sole food purveyor at the Civil War battle re-enactment at Natural Bridge State Park, located just south of Tallahassee, Fla. A variety of sandwiches were offered as well as large homemade cookies. A portion of the proceeds was shared with the Natural Bridge Historical Society to help that group finance improvements to the state park. Live Oak Elks Lodge #1165 held a dinner to raise funds to help the families of two Gilchrist County Sheriff’s deputies, Sgt. Noel Ramirez and Deputy Taylor Lindsey, killed in the line of duty April 19, 2018. Seventeen Elks and 16 helpers worked a total of 130 hours to raise $3,831. In December, Lake City Elks Lodge #893 once again provided food baskets for Christmas to the community’s families in need. Baskets were assembled Dec. 22, just in time for delivery for the holiday. Life South was at Live Oak Elks Lodge #1165 Nov. 12 and collected 10 pints of blood from donors. Live Oak Lodge prepared 125 food baskets for Christmas for approximately 625 members of the community in need. Each basket contained a frozen turkey with all the trimmings. Perry Elks Lodge #1851 donated a $1,000 scholarship to Big Bend Technical College (BBTC). 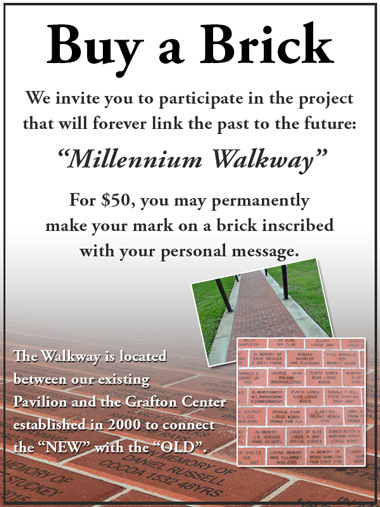 The money was used to help 22 students achieve their GEDs. Many recipients of a GED continue with training at BBTC or pursue a college degree elsewhere. Helping the community during the November election process, Perry Lodge provided lunch for the Supervisor of Elections office, canvassing board members and the recount team. 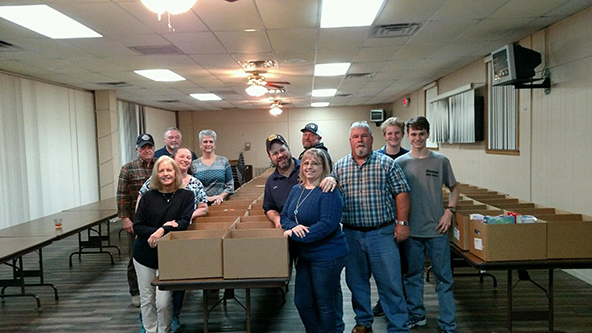 Perry Lodge assembled Thanksgiving food baskets for the community, coordinating that effort with Taylor County United’s Michele McLeod and her volunteers. After Hurricane Michael, Perry Lodge hosted the Brotherhood Riders who came through town with two trucks and trailers loaded with relief donations. Member Jim Bassett loaned a refrigerated truck for the trip to the panhandle to haul bags of ice. Other items included were washers, dryers, laundry products and personal products. Live Oak and Tallahassee lodges brought their donations to Perry Lodge. Perry Lodge fed the riders and put them up for the night. Perry Lodge hosted their 15th annual breakfast with Santa co-chaired by members Randy and Deidra Newman. 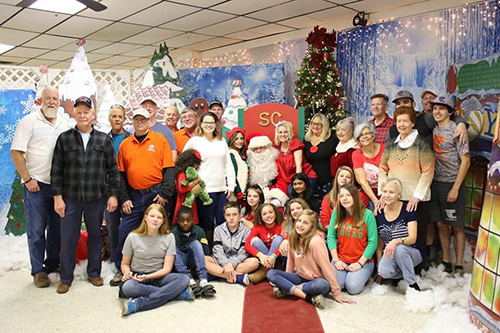 Contributions from Ware Oil Supply, Consolidated Communications, Bassett’s Dairy, Winn-Dixie, Save-A-Lot, the lodge and sponsoring members helped the lodge provide breakfast for 500+ adults and children and gifts to over 250 children. This year the toy included a special surprise for the children; after sharing their wish list with Santa, they entered Santa’s workshop where they helped build their toy. The gift this year was a beautiful Build-a-Santa. It takes two evenings of nonstop decorating to turn half the banquet room into Candy Cane Lane and the North Pole. Children attend the 15th annual breakfast with Santa at Perry Lodge. 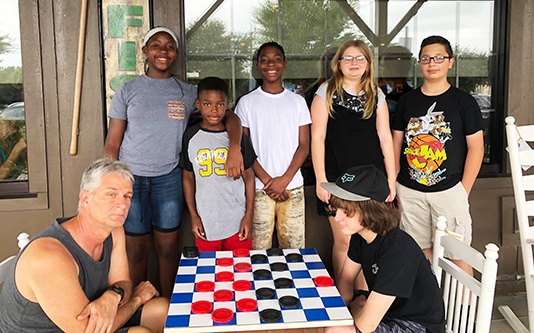 Tallahassee Elks Lodge #937 sponsored a trip for Gretchen Everhart School students and their families Sept. 27-30 to the Florida Elks Youth Camp. Buses were procured with the help of Elks National Foundation grants and other donations. The camp generously donated facilities, staff, and food, and several lodge members attended as chaperones. This annual event is often the only trip that the families can make due to the physical and emotional challenges faced by the children. 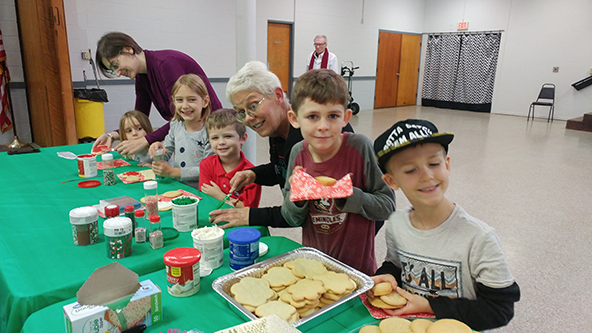 A children's Christmas party was held Dec. 23 at Tallahassee Lodge. Children played games, decorated cookies, had their face painted, and of course got a visit from Santa and Mrs. Claus who brought gifts for all the kids. Tallahassee Elks Lodge #937 organized a back-to-school supplies drive for grades kindergarten through eighth grade. 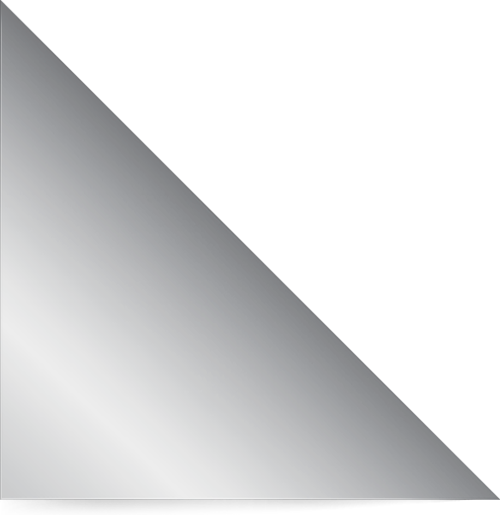 Two schools were chosen as recipients – Astoria Park and Ft. Braden – both in the Leon County school district. More supplies than could fit in one car were collected. Perry Elks Lodge #1851 sent eight kids to the Florida Elks Youth Camp this summer. Two lodge members assisted with transportation to get the kids to Umatilla and back. Volunteer Todd Ratliff is pictured with Perry’s campers. Perry Lodge also awarded cash scholarships to four local students at a presentation ceremony that included a meal for the students and their parents. Several officers and members attended and wished the students well. On Aug. 3, Perry Lodge held its annual charity auction, a fundraising event for building its charity fund. Members and their guests took part in a social hour, dinner and the auction. In a continuing effort of fundraising, Live Oak Elks Lodge #1165 conducted its annual golf tournament Aug. 11. The event netted $12,000 and is another example how lodges can generate income from an advertised event that provides entertainment as well as community visibility. On Sept. 19 at the VP/DD visit, Trustee Jay Swisher announced that Lake City Elks Lodge #893 had been awarded an Elks National Foundation Beacon Grant of $2,000 for a reading program begun more than five years ago by the lodge in concert with Columbia County Schools. The school district has a grant matching incentive that added $2,000 to the lodge’s initiative, and another $2,000 was added by the FSEA’s practice of matching Beacon grants. On Friday, May 11, Live Oak Elks Lodge #1165 in partnership with the Suwannee County Sheriff's office held a “Back the Blue” fundraiser at the lodge serving chicken and rice, green beans, coleslaw, bread and dessert for $6 each. This effort allowed the lodge to donate $3,600 to the families of fallen Sheriff Deputies Sergeant Noel Ramirez and Taylor Lindsey who were ambushed and tragically lost their lives in neighboring Gilchrist County. Perry Lady Elks hosted the Easter Egg hunt this year attended by more than 200 kids, parents, grandparents and volunteers. On June 9, the Lady Elks also sponsored a Drug Awareness/Summer Safety Expo emphasizing bicycle safety and the dangers of drugs. Every child received a bike helmet. There was a bicycle rodeo, free car seat checks in automobiles, boating safety tips and free food. The Perry Police Department, Taylor County Sheriff’s Department and Perry Fire Department were in attendance and allowed kids to explore the emergency vehicles they brought to the event. Prizes awarded to attendees included bicycles. Perry Lodge Exalted Ruler, Tommy Mauldin, presented the lodge’s Citizen of the Year award to Sheriff Wayne Padgett. The sheriff’s “knock the door down” and “see Something – say something” actions are making a difference in Taylor County. Perry Lodge’s scholarship annual awards event was held June 7. Members and guests were invited to participate in the program and join in the meal that was served. The lodge is proud to announce Justin Eckel, Connor Stengel, Kinley Dorman and Katie Mays as this year’s scholarship recipients. Perry Lodge’s annual Flag Day program was held June 14. Boy Scout Troop 600 assisted with the presentation of our country’s flags. An all-American meal of hot dogs, chips, apple pie and ice cream was served following the program and the event was open to the public. In April, Tallahassee Elks Lodge #937 hosted Gretchen Everhart School’s dinner and prom with in-kind donations of floor space and food for the event. This is an annual occurrence at the lodge.